ProTaper Race Spec (RS) Rear Sprockets are precision CNC machined to strict tolerances from high quality alloy that has been specially formulated for serious off-road riding. The unique manufacturing process paired with quality materials results in the perfect balance and optimization of key features like load distribution, reduction of un-sprung rotating mass, and tooth endurance. The angled mud groove technology allows the ProTaper RS Sprockets to self-clean during operation which prevents dirt build up that leads to horsepower loss and rapid sprocket wear. CNC machining the grooves in the opposite direction of the load bearing teeth creates the largest tooth surface area possible for the chain load to rely on. 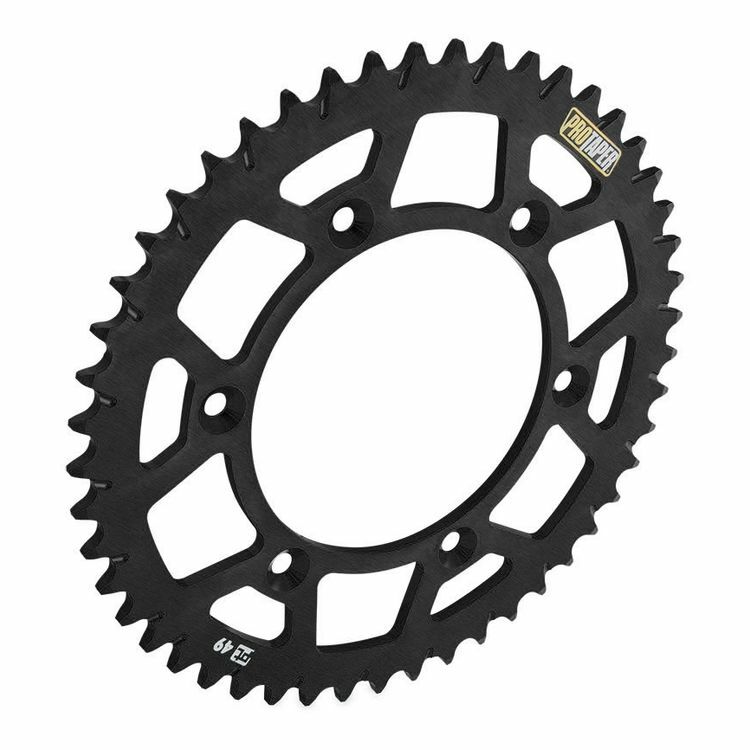 This proprietary design enhances durability and increases the sprocket / chain contact area by 40%, resulting in significantly increased sprocket life over the traditional sprocket design. Note: Images are for reference only, actual sprocket will vary based on make and model.